Did you know that the most asked question here at StoneGable is WHAT IS YOUR PAINT COLOR! It’s the most asked question by far!!!! And it’s no wonder. I think picking out paint color can sometimes be a harrowing experience. It’s like trying on bathing suits in January or not being able to get an appointment with your hair colorist for three weeks and your roots are growing out! Finding that perfect paint color for your home is a HUGE decision and one that we don’t want to get wrong! So today on the blog and on the podcast we are talking about my favorite paint colors and how I chose them and how you can choose the perfect paint color too! Finding that paint color that makes you swoon and works with your decor does take some research and some trial and error. But when you find it… it’s magical!!! OR… you can find and listen to all 10 of our podcasts HERE. And if you want to listen on the go you can find us on itunes or you can also listen on your android! If you want the show notes with all the links to the colors and posts we are talking about go HERE . I’ve painted my home everything from Pepto Bismol pink to mud brown! And I have learned many lessons from all the painting mistakes I’ve made. Finally, I’ve made my peace with wall colors and have come to terms with that elusive perfect color! Style and trends come and go and so does paint color. There will always be a Pantone color of the year. Last year’s Benjamin Moore’s color was Simply White (actually a very sensible choice) and this year’s Pantone color is Greenery. Greenery? Are you kidding? Decor and tastes change so why wouldn’t our walls? I just don’t want my wall color changing like an indecisive chameleon with every new decorating whim. I bet you feel the same way too! Here’s what I do want from my wall color. I do want the color I choose to feel like me! The mud brown did not and neither did the Pepto Bismol pink! I want the paint I choose to work wonderfully with my furnishings. I do want it to blend into my rooms and be supportive letting other things in my room show off. I want wall color to be a backdrop for everything else, including the people in my home! And I want my paint color to work for more than five years. Painting more often than that (other than touching up) is way too often! On the podcast, I describe the ways I decide on a paint color. It works like a charm. I hope you listen and find my technique for finding the perfect paint color helpful! Before we get into specific colors I want to let you know all the walls in StoneGable have been painted with flat paint and the trim in a semi-gloss. I like the look of flat paint on walls and love the sheen a semi-gloss gives to trim! Right now at StoneGable, I am living a blissful life with my favorite paint color SONNET! Sonnet is a Benjamin Moore color that is a soft and neutral and sort of creamy looking without being too yellow. It’s a cross between bone and beige and greige. A very pale, slightly warm paint color. And here it is on the living room wall. And here on the dining room wall. I think the dining room picture give the truest example of the paint color. The ceiling is not Sonnet but Philadelphia Cream by Benjamin Moore. Sonnet ties most of the rooms in my downstairs together! Choosing one paint color that will work to connect rooms in your home is a great way to have your spaces flow together! 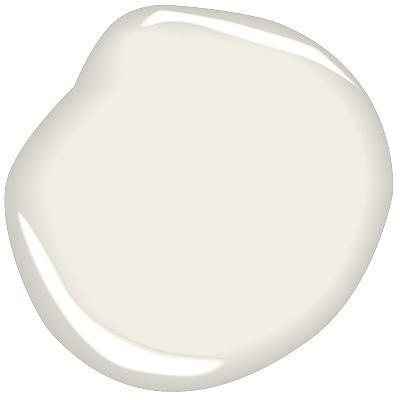 The other color I’m just wild about is SIMPLY WHITE by Benjamin Moore. It is an off white that looks pure white until you hold it up to a piece of white paper. It’s gorgeous. 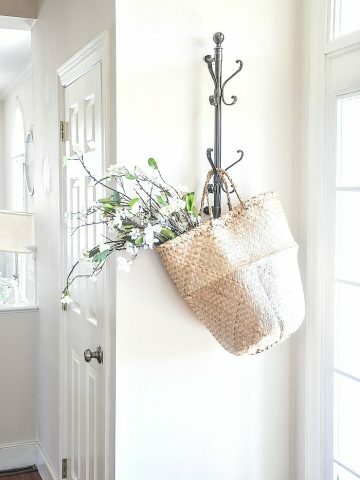 What keeps Simply White from being stark looking or like painter’s grade white paint is that is slightly warm but you really can’t see any yellow when it’s painted on walls. It looks crisp and clean and oh, so so pretty. And it makes a room look bright and airy! Our laundry room is painted Simply White and right now we are painting a bedroom in it too! I love this pretty white! If you like off white colors these are two you might want to experiment with the next time you need to paint a room… or your whole house! I learned a very critical lesson about white paint as we were painting one of our guest bedrooms white. For some reason, the paint had an almost green cast to it. So we painted it again with Simply White. And again, it had a slight green look to it. It was after the second coat of white paint that I realized it was not the paint at all but the green leaves from a big tree outside the window reflecting off the white paint! The lesson to this story is to be aware of what is outside your windows that could change the color of your paint! So instead of another white paint we went with Benjamin Moore SILVER MIST for the guest bedroom. It not only looks beautiful and soft in the bedroom but plays nicely with the rest of the colors in our home. Silver Mist is a light and airy and whisper soft blue with gray undertones. Just beautiful! As we work on our office, master bed and bath, and guest suite and bath we will be buying lots and lots of Simply White. I love the clean, fresh look for our upstairs living spaces. Let’s talk about the trim at StoneGable. 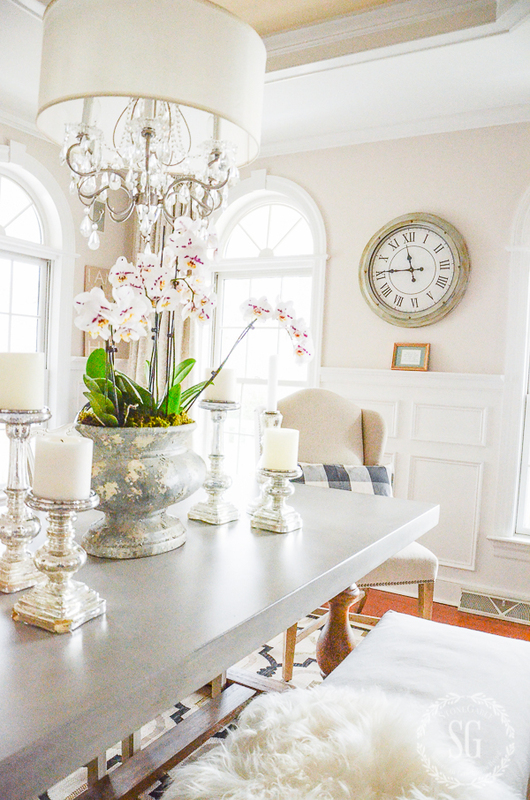 All the trim, kitchen and mantel in our home is ATRIUM WHITE by Benjamin Moore. It’s a soft white with a very slight pink undertone that makes it just a tad on the warm side. It’s perfect for trim! So there you have it… the colors of StoneGable! I hope this post and podcast have helped you and inspired you to pick out your perfect paint colors! 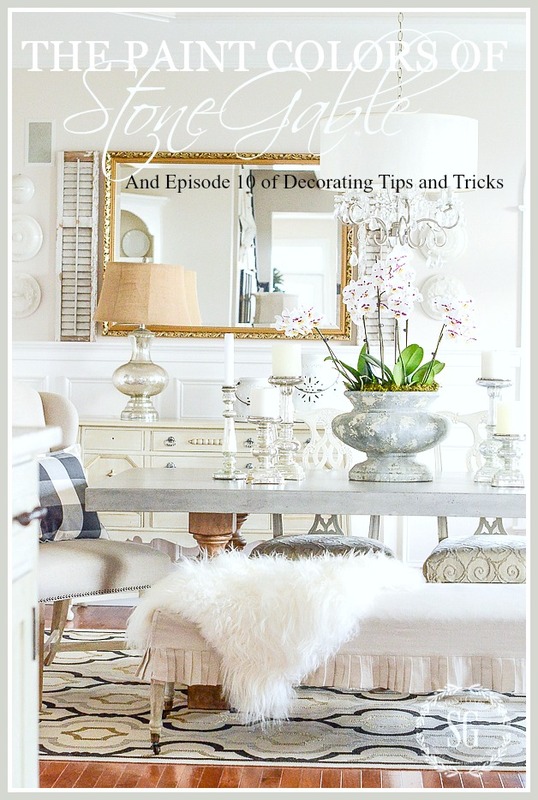 For lots more suggestions and tips and other favorite paint colors listen to Decorating Tips and Tricks! Hi Yvonne! I’m loving your color choices you chose just beautiful. Sonnet is definitely a color I’m interested in. We need to brighten up our living area. Right now we have dark bathroom walls which were popular a few years ago. Can you share the colors you used for your bathrooms? Our master bedroom is close to the blue gray palette. Thank you for sharing your colors, I’ve learned so much from you you are defitely an inspiration. Thank you, this is one of the most difficult decisions for me. You may have mentioned this but what color did you paint your kitchen cabinets? Is it a semi-gloss? Your home is an inspiration to us all!! Yes, the paint on our kitchen cabinets are Ben Moore Atrium White in a semi gloss. Thank you for the paint pointers! I love the honey color on our walls but feel like we need an update. This helped a lot! Thank you so much for the painting tips. I sit there wondering what color to repaint. I love Sonnet. So Sonnt it is. Thanks again for all the inspiration. I love the color on the dining room table. What process/color was used?! Thank you for all help. Choosing paint colors is so very hard to do! We did it! Over the weekend, we changed some of our rooms from Tuscan (embarrassed to say that we still have Tuscan, but we do!) to a very light color! It made the area so much brighter and seem bigger! After multiple trips to the paint store and 3 gallons of the “wrong” color – we love the new color that was custom made just for us (again, because of not picking the right color in the first place – well, I actually just had it darkened)! I am now on to decorating the rooms and am trying to minimalize rather than putting out all of my “treasures”! Will be looking for tablescape ideas next! 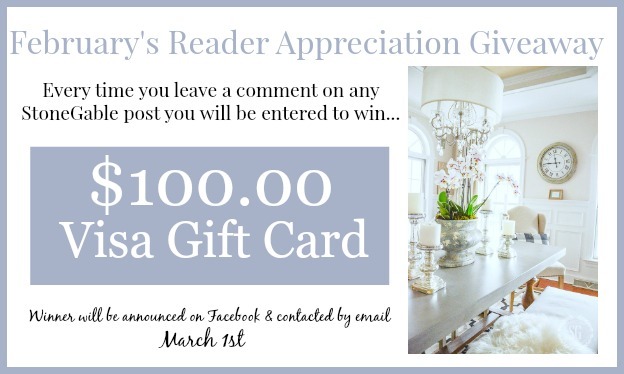 Thank you so much – I have not been inspired to decorate our house for a few years, but your site changed that for me! I am not good at working full time and then doing things to our house too. I do love decorating though! We replaced all of our baseboards with taller boards and painted them, our mantel and will be painting our kitchen cabinets with the Atrium White and we absolutely love it. When listening to the podcast I heard you ladies talk about pink. My early twenties daughter just painted her bedroom a really beautiful pink. It’s soft, light and a grown up pink. It’s Pensacola Pink from Benjamin Moore. Pink can be tricky knowing it can go bubble gum so easily. We talked to the gentleman in the store and Pensacola Pink is what he recommended and it worked; so pretty. Thanks for info on paint colors, Im struggling myself to find the correct paint color. Paint I thought would work didnt. Its a chalange. just about right for the walls. It will look perfect with the ceiling color. A fresh coat of color on the walls will be perfect to welcome spring! I love the post about paint colors and I have a question for you but one of the ladies asked and you replay so I got your advise. It was about if you would paint the ceiling white even you choose another color for the walls. Thank you. 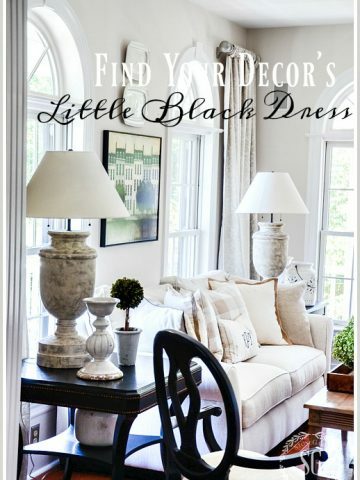 The paint colors make each room look very elegant and have a nice calming effect. Very pretty! Thanks for sharing all the great information. 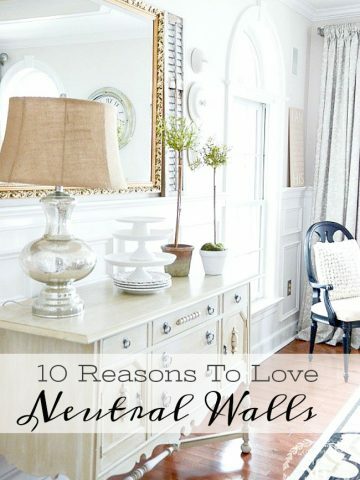 I have always loved a neutral palette for my walls and trims. It’s much easier to change the accents than a wall color. Beautiful! My favorite white to use is Dove White by Benjamin Moore. It’s my go to for woodwork & painted panneling! Thanks for the info. I always like to hear a description of a color from someone who has used it in their home. I have seen colors that I have liked on other blogs, but have not been able to find out the names of the colors and it has been really frustrating. I appreciate how helpful you are! thanks for sharing paint colors!! I’m wanting to make some changes in our house! Love Stone Gable!!!! Yet again, great information. Although, I have to admit that I do enjoy more color on my walls. I have varying shades of sage green and tans running through my own home. The more natural greens, not bright, flashy colors. I figure they are found in nature and I look at them as a way of bringing the outside in. Those colors of white are so pretty. Thanks so much for sharing. What a wonderful tutorial on paint choices lots….my long history with painted walls is quite a saga and coming full circle (again) back to white! Your white info is timely! Thanks! Question: how are your monthly “winners” notified? Is FB the only way? Love the Silver Mist – that’s the one for my upcoming master bedroom re-do! Thanks for the inspiration! 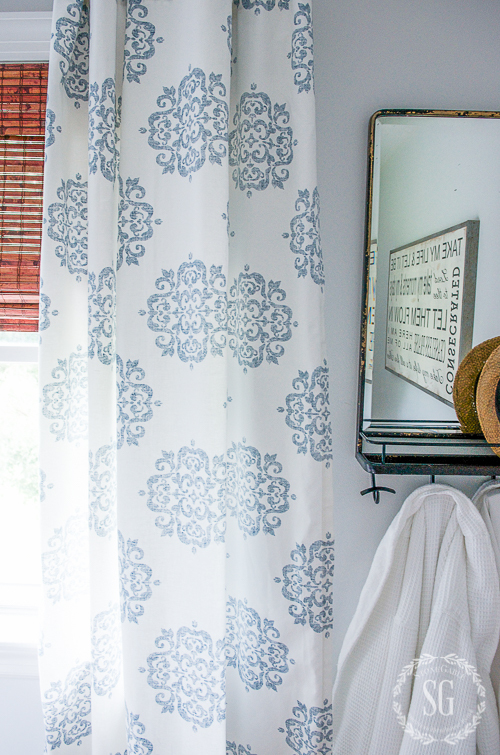 Love your light colors ….love the Sonnet color . I am completely in love with the Silver Mist! Thanks for sharing all of your tips! Love these colors, Yvonne. If I could, I would use the Silver Mist in my bedroom, but I don’t think my landlord would appreciate it. However, I think she would definitely be okay with the Sonnet through-out my whole Wee Abode. Right now, I have ‘Swiss Coffee’, which very much has a blush pink undertone to the beige. It could be worse, but it would be nice to update it a bit. My earliest memories of my grandmother’s house are that every room was painted white. In the early 50s she put yellow lightbulbs in all her lamps–I loved the glow. She later told me the shade from the trees made all the white inside look cold like snow. 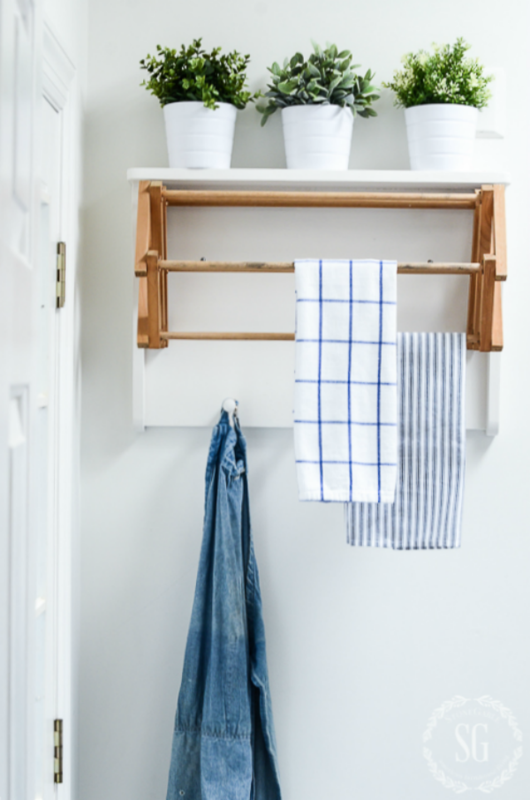 I still love white–like the color of Devonshire cream, My walls and woodwork are painted a color called butter, but it’s actually white with the faintest bit of yellow–no need for yellow lightbulbs in my shady house. Love the sonnet I think it might work in my front home office! Did you use satin finish? What finish for the trim? Love your beautiful home! Thanks for sharing! You inspire me with all your decorating but also your stories of life & wisdom you give. 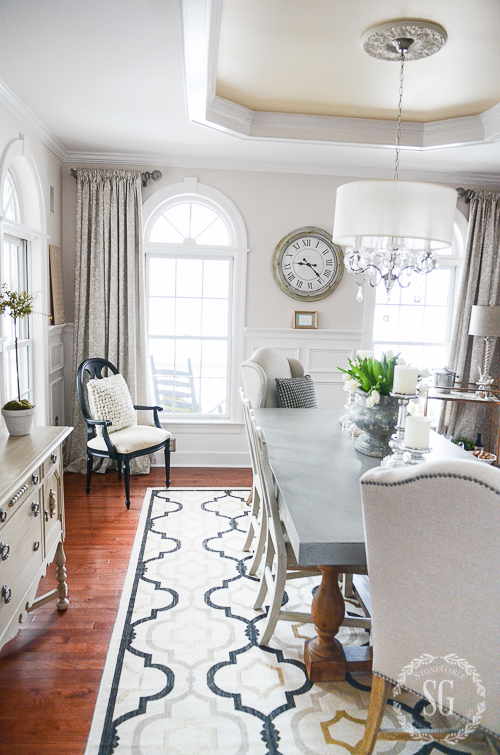 This is a timely post for me as I decide what color to repaint my red dining room! I have always loved the colors in your home and you have given me a lot to think about. Thanks for the great advice! I planned on having someone paint all the trim and doors in my house this spring. Because it’s such a time consuming job .i decided to hire out and the crew will have it done in a short period. 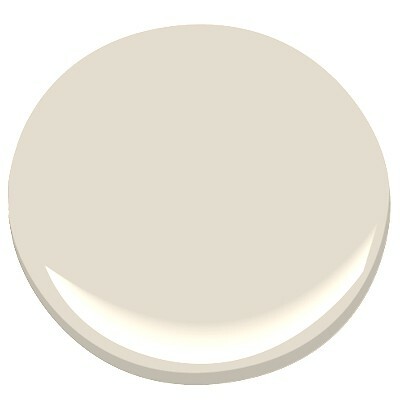 I’ve decided to use Atrium white as my wall color is very close to Sonnet. Did you use a semi gloss on your doors and trim? Loving the podcast. Paint is a great topic thanks for the tips. Thank you for sharing the paint colors of your beautiful home! living room,dining room and kitchen,The rooms runs together. I love the color of your bedroom! I need to paint my bedroom and choosing a color is so hard! Thanks so much for the tips! Have a blessed day Yvonne! I love some of the new names for paint colors! Sonnet is really interesting! I love the paint choices. I have similar ones in my house. I like the bright airy feel of each room. Thanks for the paint info. Paint can be the trickiest thing to choose. 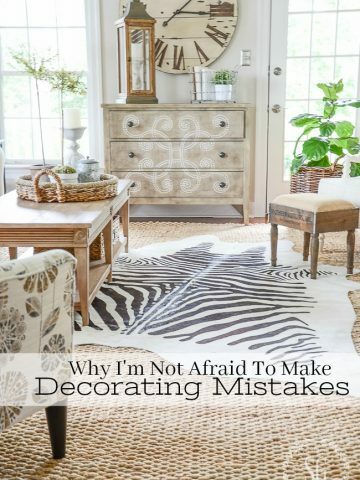 I’ve made my share of mistakes over the years…but lessons learned. Perfect! Just the information I was looking for. Love all the great tips! I am currently in love with Sherwin Williams Alabaster! Just yesterday I was laying on the couch as the afternoon sun blazed in and thought about how much I love the color in my great room…when you get it right it makes all the difference! The right color is amazing! Thanks, this tip came at the right time. We just put new wood floors in the family room and I want to paint the walls. We have darker beige on the walls and I want to brighter them up, so Sonnet will be perfect. I did have a hard time finding a paint swatch of Sonnet though at my local BM paint store and needed to go to paint store with a large display of colors. I love the Sonnet color. I need to get by BM and pick up a sample for my bedroom, looks like the perfect shade. For years I have been using BM Dove white on all my trim, I hope Sonnet will blend nicely with White dove. I just ordered a new sofa for the living room, and trying to decide on a paint color, the walls are light tan, but the room gets no light, so would love to try a new color on those walls as well. Thanks for your inspiration! Thanks for sharing. Love your home. I love to paint and would change my room colors every year if I could. Of course, my husband would kill me. I started going to a neutral paint andI love it. I just use colors on the paint strip and they blend beautifully from room to room. I’m saving these tips. You have done the homework and we all benefit from your expertise. Thank you!! Thanks for all the great paint color tips.! I love those paint colors. Thank you. Great info worth saving! Always a huge delimma but your guidelines help. Do you recommend painting ceilings the same color as walls. That seems to be the trend right now. 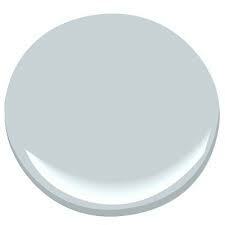 I have “builders grade white” on my ceilings currently, a similar gloss white for trim, with darker colored walls. If we chose a color such as Benjamin Moore Sonnet, would you suggest using that on the ceilings as well or more of a pure white? Thank you so much for your advice. Hi Karen, Great question! I prefer a white ceiling. I think it “opens” up the room while a ceiling painted the same color feels cozy but boxed in. It’s just a personal preference. Perfect white! Looks so crisp and clean!! 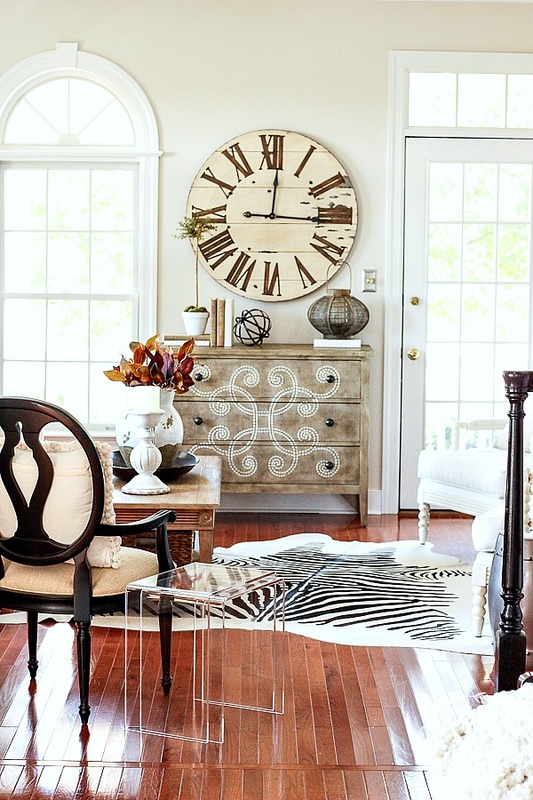 I’ve had Benjamin Moore’s Simply White on every piece of trim, ceiling and wainscoting in my home for eight years. It’s a go to, perfect white. 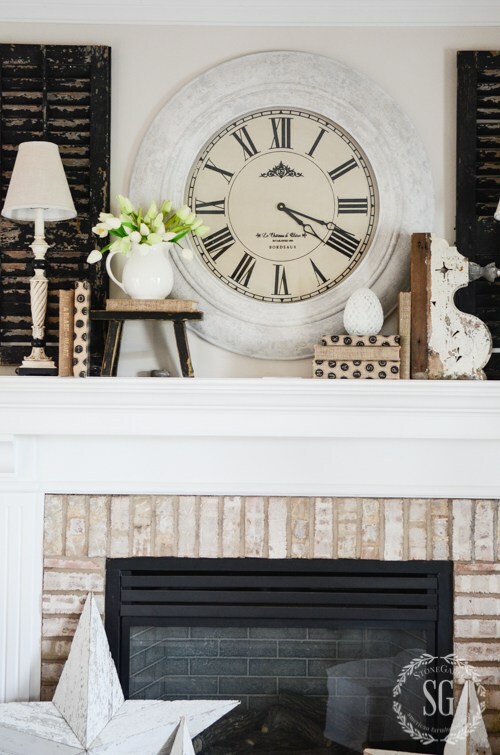 It pairs beautiful with Stone Hearth….a great neutral. I’m curious, Yvonne….is Benjamin Moore a sponsor? You have some beautiful selections in your decor. I am in the process of making some selections for my home, which is an open floor plan. I really would like to know why BM over any other brand. I’ve always used SW, but am not married to any one choice. Your response will be appreciated! I wish Benjamin Moore was a sponsor, but it is not! We have always loved and used Benjamin Moore. I’m sure other paint companies have fabulous paint too! Thank you for the response. I have pinned several of your colors! In the Spring, we will be painting most rooms in our house. This podcast/blog couldn’t have come at a better time. I love those knobs and when I bought the antique buffet it was missing the nob. So it’s just part of the uniqueness of it. I, too, have wanted to know your color choices. Thanks for sharing. Thanks for the paint colors! I’m always on the look out for paint.